2 Tuesdays: February 12 & 19th from 6-8:00 PM at the Day Road Center- Training Room, 71 Day Road Ventura, CA. 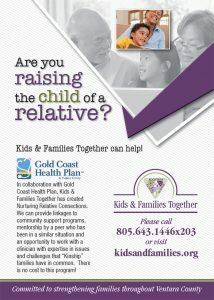 This class has been specifically designed for Kinship and Foster families. 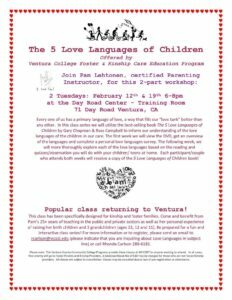 Come and benefit from Pam Lehtonen’s 25+ years of teaching int he public and private sectors as well as her personal experience of raising her birth children adn 3 grandchildren. Be prepared for a fun and interactive class series! 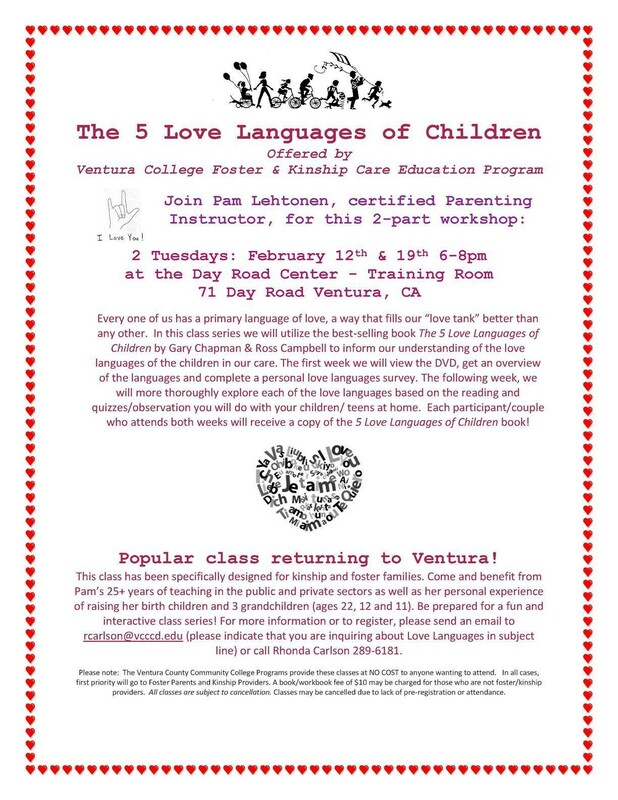 For more information or to register, please send an email to rcarlson@vcccd.edu (please indicate that you are inquiring about Love Languages in subject line) or call Rhonda Carlson (805) 289-6181.